Encodes all Certifications and Service Records requested by teachers in Elementary and secondary levels. 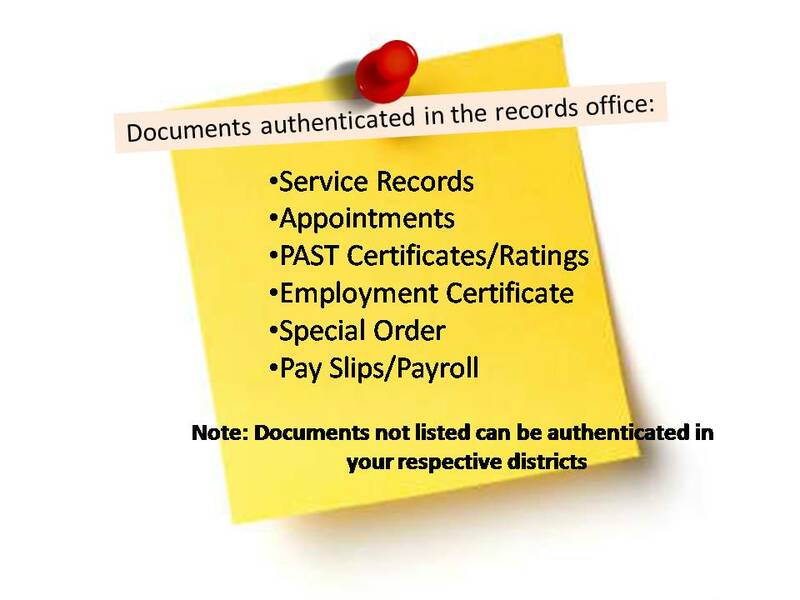 Assists in the release of Service Records, Certifications, Approved Appointments and Authentication of papers. Records Service Records, Certifications and other documents for release. Receives, records and releases all requested certifications and Service Records and approved appointments. Authenticates documents needed by teachers. Note: A Letter of Request must always be presented when making requests for needed documents.